Introduction; What is analog design? ; The making of an analog engineer; Intuitions and insights; Techniques, tips and applications. 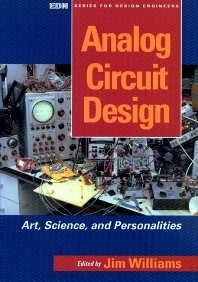 This book is far more than just another tutorial or reference guide - it's a tour through the world of analog design, combining theory and applications with the philosophies behind the design process. Readers will learn how leading analog circuit designers approach problems and how they think about solutions to those problems. They'll also learn about the `analog way' - a broad, flexible method of thinking about analog design tasks.